More than 150 elementary pupils from Paoad Elementary School are provided with basic first aid and fire safety tips during the School-based Resilience Caravan on June 19, 2018. 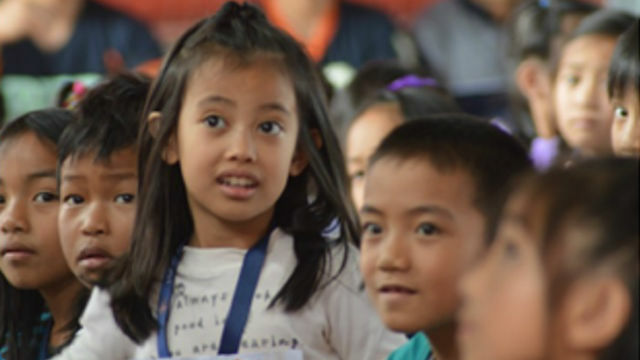 Students from all grade levels are taught on the fundamentals of disaster risk reduction and management (DRRM) through the caravan conducted by the Office of Civil Defense Cordillera in coordination with the Department of Education Benguet Division and the Local Government Unit of Tublay. Mayor Armando Lauro encourages young generation to not just note the importance of prevention and mitigation but also to act in terms of disaster preparedness. “This activity is very crucial especially for the kids being part of the vulnerable sector”, he said. The one-day activity aims to teach the basic concepts of safety and emergency preparedness, to inculcate the concepts of giving first aid and other basic response actions, and to demonstrate the basic protective measures during earthquakes and fire. It started with a lecture on the basic concepts of DRRM and earthquake preparedness by DepEd Benguet DRRM Coordinator Nerissa Barbosa. Fun activities were conducted to stimulate the participation of the students on how to prepare for and respond to different emergency situations. To have a better viewpoint on the basics of first aid, the Tublay Municipal Health Office through its personnel Mr. Eric Aoay simplified his demonstration on how to provide basic first aid. SFO1 Jade Guinyawan, officer-in-charge of Tublay Fire Station likewise explained some basic fire safety tips by using audio-visual presentations for the kids to easily grasp his topic. 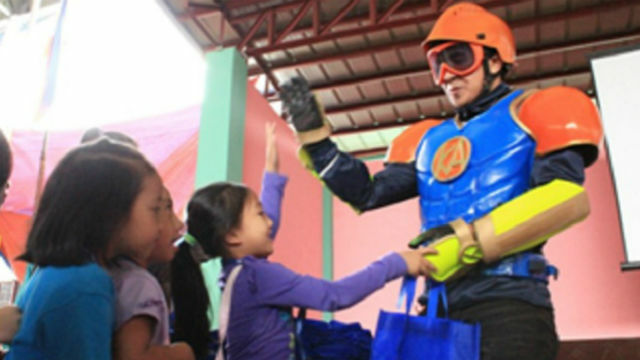 The action icon of disaster preparedness Kapitan Alerto entertained and at the same armed the kids with some safety tips specifically highlighting his topic on the significance of Emergency Survival Kit or Go Bag. “Disaster preparedness is a continuous process. It must be unending since disaster strikes at any moment without prior notice”, remarked OCD Cordillera Dir. Andrew Alex Uy when asked on why there is a need to conduct such activity. Paoad Elementary School is the fourth school recipient of similar activity. This is already the second Resilience Caravan this year after the community-based caravan conducted in Bontoc, Mt Province last March.